At the next TranQuility meeting we be discussing personal finance. Join in on our discussion about money, what it is, how to have it, and how to stop worrying about it! We will also take time to practice peaceful mindfulness with a guided meditation. 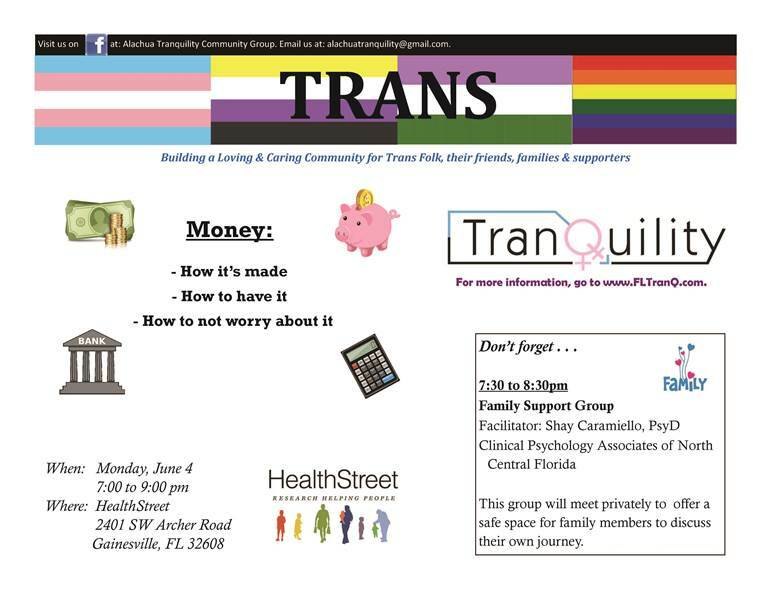 TranQuility will meet on Monday, June 4 from 7-9 PM at our HealthStreet location. Dr. Shay Caramiello, PsyD will also lead an optional family support group from 7:30-8:30.